MANILA – The Department of Agriculture is mulling the possibility of lifting the ban on exporting unprocessed coconut, Agriculture secretary Emmanuel Piñol said. The official announced this on Nov. 9 – the same day he confirmed that China is “interested” in sourcing coconuts from the country. China’s coconut milk-producing Hainan province imports 200 million coconuts from Vietnam, Thailand and India, and is looking to buy more from the Philippines, the third biggest coconut producer in the world, Piñol said in a statement. “The Province of Hainan of the People’s Republic of China yesterday expressed interest in buying coconuts should the Philippine government lift the ban on the export of the unprocessed mature nuts,” he said. “A good price offered for whole coconuts could heighten the interest to work on the lifting of the export ban,” he added without mentioning how much Hainan will pay for Philippine coconuts. 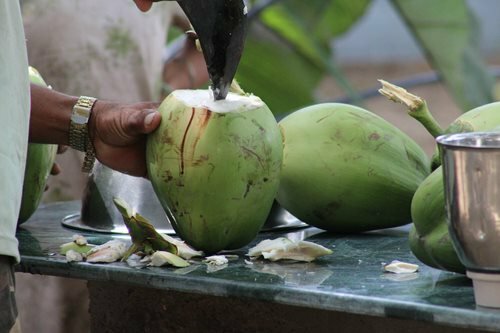 A law passed in 1985 prohibits the export of matured coconuts and coconut seedlings to protect the local coconut industry. The Governing Board of the Philippine Coconut Authority (PCA) approved a resolution urging the DA to lift the ban on fresh coconut exports on Nov. 8, a day before Piñol made public China’s offer to source coconuts from the country. The PCA Board recommended the lifting of the ban “to correct the depressed market price for copra which has sank to P15 per kilo from a high of about P50 two years ago,” Piñol said. The PCA also passed resolutions asking President Rodrigo Duterte to increase to 5 percent from 2 percent the coconut oil component of diesel, and to distribute coconut processing facilities to farmer cooperatives, he said. In the second quarter of 2018, coconut-producing provinces in the Philippines harvested 3.33 million metric tons of coconuts – 3.9 percent higher than last year’s 3.21 million metric tons of produce, data from the Philippine Statistics Authority showed.